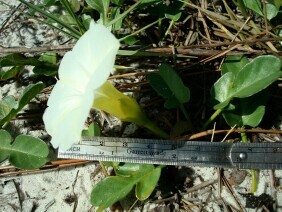 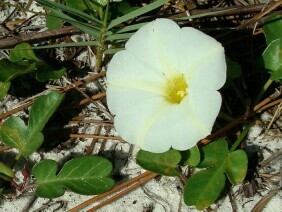 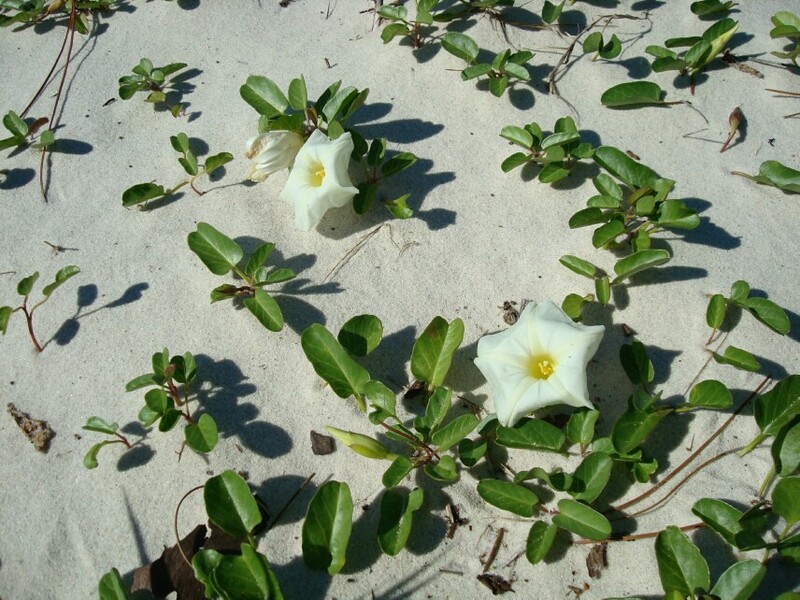 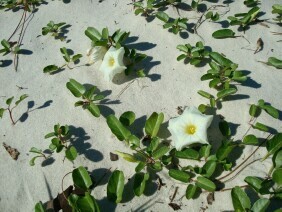 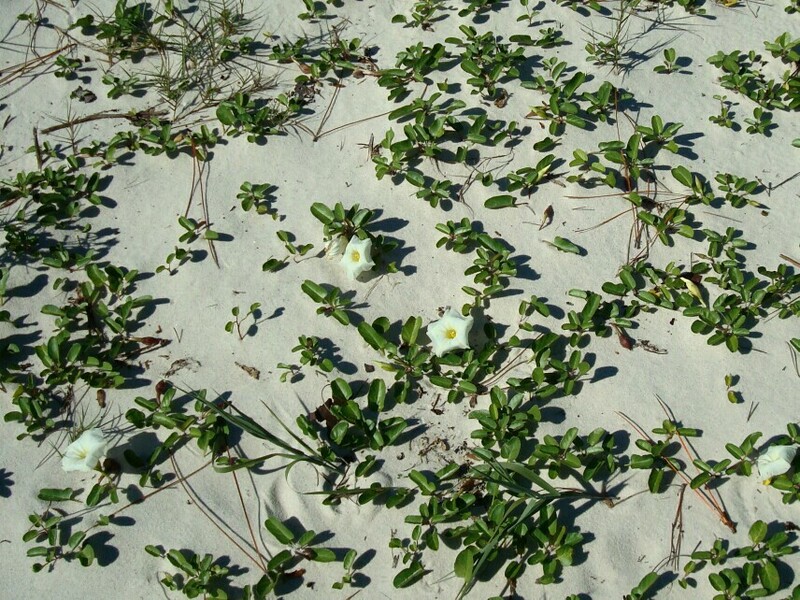 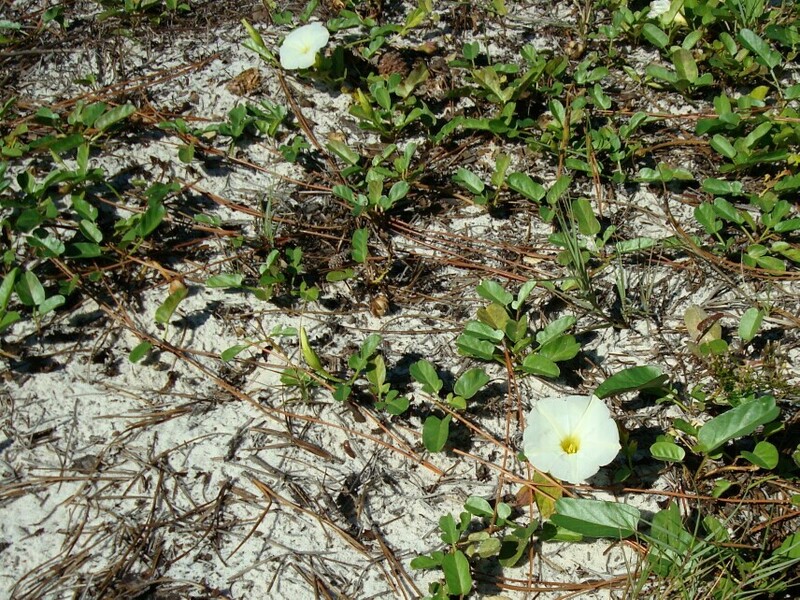 As the name indicates, Beach Morningglory is found on or near sandy beaches. 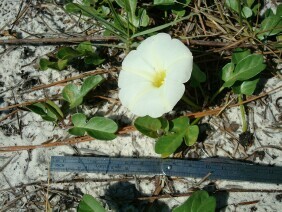 Note the that I give two scientific names. Field guides will probably list Beach Morningglory as Ipomoea stolonifera, however, official online sites will probably list it as Ipomoea imperati. For a discussion of the the issue of multiple scientific names, follow this link: Why some plants have multiple scientific names. 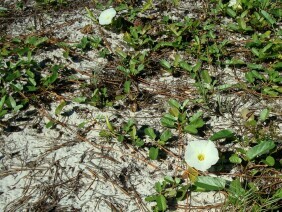 These plants were photographed near the beach at the Dauphin Island Audubon Park, in mid October.